The Breeders' Cup and NBC Sports Group today announced the 2017 “Breeders' Cup Challenge Series: Win and You're In, presented by Lane's End Farm and America's Best Racing” television schedule of 11 live programs featuring 17 qualifying races and other major stakes on the road to the Breeders' Cup World Championships. This year's Breeders' Cup Challenge Series, now in its fourth year on NBC and NBCSN, has been enhanced by the addition of the Stephen Foster Handicap (G1) from Churchill Downs on June 17, the first U.S. “Win and You're In” for the $6 million Breeders' Cup Classic; the Arlington Million (G1) from Arlington International Racecourse in suburban Chicago on August 12, and the $1 million TVG Pacific Classic (G1) from Del Mar race track of San Diego on August 19. 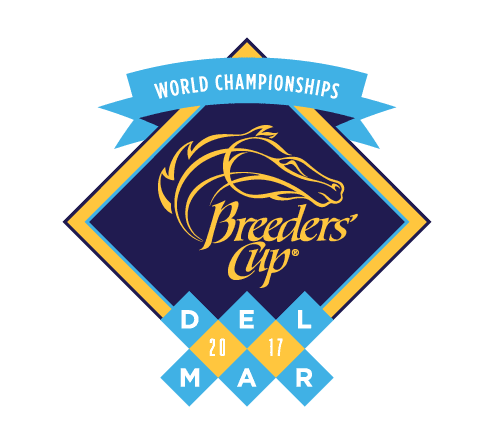 Del Mar is the home of this year's Breeders' Cup World Championships, November 3-4, which will also be televised live by the NBC Sports Group. The TVG Pacific Classic is expected to be the much anticipated return of defending Breeders' Cup Classic (G1) winner Arrogate, rated No. 1 in the Longines World's Best Racehorse rankings, who is currently being rested following spectacular wins this year in the Pegasus World Cup (G1) in January and the Dubai World Cup (G1) last month. Over the years, outstanding winners of the Arlington Million, and its companion race for fillies and mares, the Beverly D. (G1), have qualified to compete in the Longines Breeders' Cup Turf (G1) and the Breeders' Cup Filly and Mare Turf (G1), respectively. Putting the spotlight on premier racetracks across the country, the 2017 Breeders' Cup Challenge Series begins on Belmont Stakes Day, June 10, with the Metropolitan Handicap (G1) and the Ogden Phipps (G1) from Belmont Park, and continues with live telecasts of American fixtures throughout the summer with, among others, the Betfair.com Haskell Invitational (G1) from Monmouth Park and the Whitney (G1), the Travers Stakes (G1) and the Woodward (G1) from Saratoga Race Course. The series concludes in October with the Shadwell Mile (G1) and Juddmonte Spinster (G1) from Keeneland Race Course and the Jockey Club Gold Cup from Belmont Park. In addition, several NBC Sports Regional Networks will present replays of select races after their initial telecasts on NBC and NBCSN. The complete 2017 Breeders' Cup Challenge Series schedule will be released on Wednesday, April 12. This entry was posted in The Biz and tagged arlington million, Belmont Oaks, belmont sprint championship, Breeders' Cup, Breeders' Cup Challenge, Fleur de Lis, haskell invitational, Met Mile, Metropolitan Mile, nbc sports, Ogden Phipps, pacific classic, Stephen Foster, test stakes, travers, Whitney Handicap, woodward by Press Release. Bookmark the permalink.